TimeTrade’s appointment-centric customer experience solution enables customers to convert digital first touch interactions into a high-value, in-person meeting. The company has a worldwide cloud delivery network and its solutions are used in 39 countries around the world. It’s patented Customer Engagement Cloud technology includes an edge provision able high-frequency scheduling engine that hyper scales to hundreds of millions of appointments. 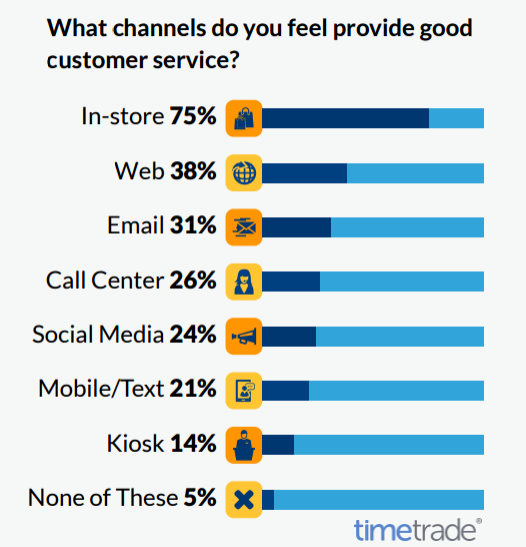 About three-quarters of consumers believe that in-stores provide the best customer services, followed by the web with a rate of 38% then emails with a rate of 31%. Social media ranked late _at the fifth place_ with only 24%. A survey of 2000 consumers shows that people are far more likely to treat online stores as their showroom researching online and then buying in-store. 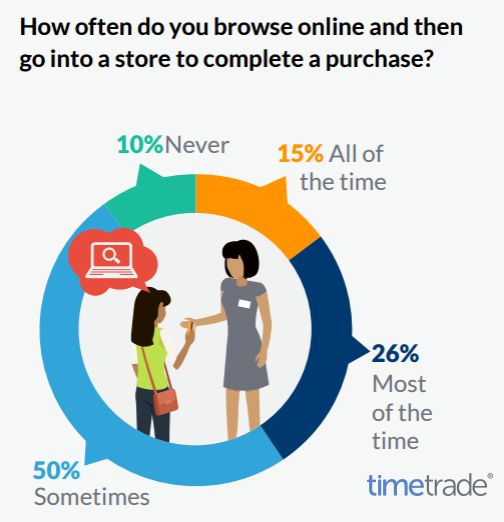 The degree of activity ranges from 15% of consumers always browse online before buying in-store, and 26% do so most of times to 10% never did it before.